At just $30/Person you can enjoy a ballgame in the newest Athletic Park addition! The Bullpen Beer Garden, located down the first base line, is the perfect place to enjoy a laid-back game day experience! 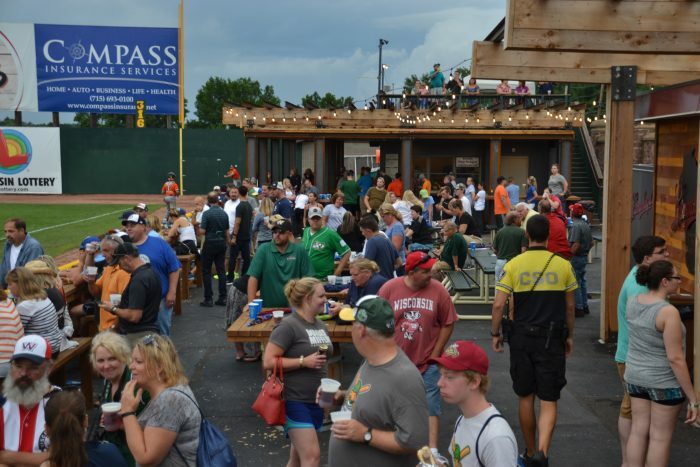 The bullpen features high top tables, picnic tables and yard games to make your evening at a Woodchucks game the epitome of summertime fun! Tickets include All You Care to Eat BBQ Pulled Pork, Grilled Bratwursts, Burgers, All-Beef Hot Dogs, Seasoned French Fries, a Rotating Chef’s Special, and Potato Chips plus Bottomless Beverages including Beer, Wine, Pepsi Products and Water. Call 715.845.5055 for more information or to book a group in The Bullpen Beer Garden!